Are you wondering how to keep your office space safe? Well, if you are a business owner, then apart from thinking about business expansion and brand promotions, you have to also think about protecting your infrastructure from all kinds of threats as well as keep your employees safe. And fire emergency is also a big threat for your commercial space. Once a fire breaks out, it will become difficult for the fire to be controlled and it can disrupt your office building completely, taking lives or seriously injuring people. We, at MMJ Electric, can provide you with a superior quality commercial fire alarm which has the latest features to keep you safe during a fire breakout. We are flexible in the size and compatibility of the products. We monitor the systems from the UL Certified Central Monitoring Station. So, if you are based in areas such as Coral Springs, Fort Lauderdale, Parkland, Pompano Beach FL, Sunrise FL, or Tamarac, you can resort to us for your safety. 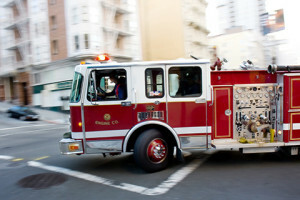 Here, we have put together a few common things to check before buying a commercial fire alarm. Take a look. A fire alarm must be advanced and follow the latest standard of compliance. In order to ensure that, you need to check the features of the alarm before buying such as the carbon monoxide detection, heat and smoke detection, duct and sprinkler detection, and so on. The fire alarm must not be too complicated to install as it will only make life more inconvenient for you. And even if it is a little difficult, you must make sure that the company from whom you are buying the alarm can help you install it easily. So, without any further delay, if you think we can be the right choice for you, quickly get in touch with us today.